For those heading off to warmer climates, these pieces are just the ticket to get you in a holiday mood. And if you’re staying south, there’s nothing like an accent of bright colour to play off the neutrals, nudes and greys of a cold climate. 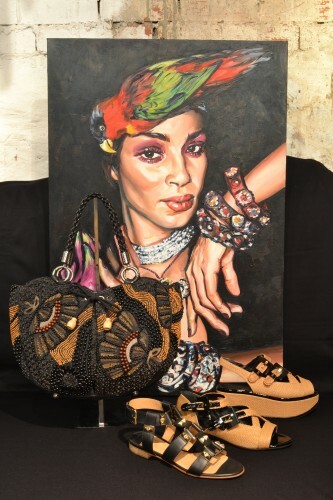 Take a cue from Gavin Brown’s painting of a tropical temptress and find the perfect pieces for holidaying in style.